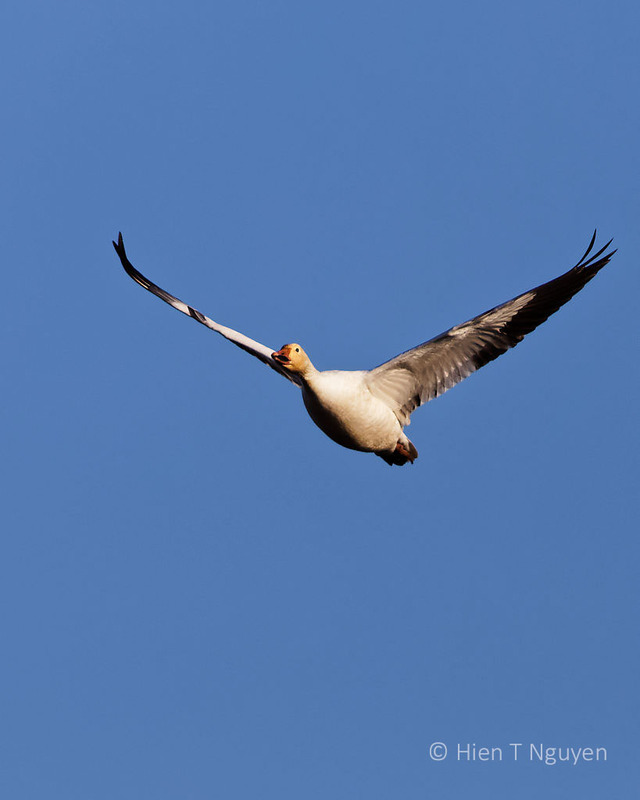 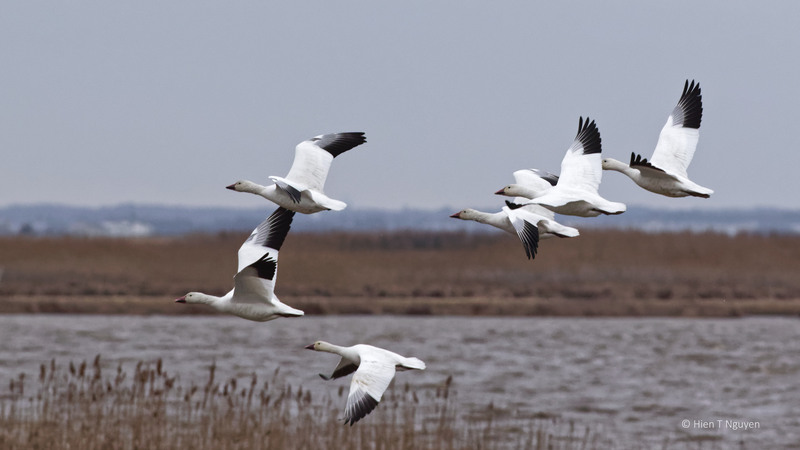 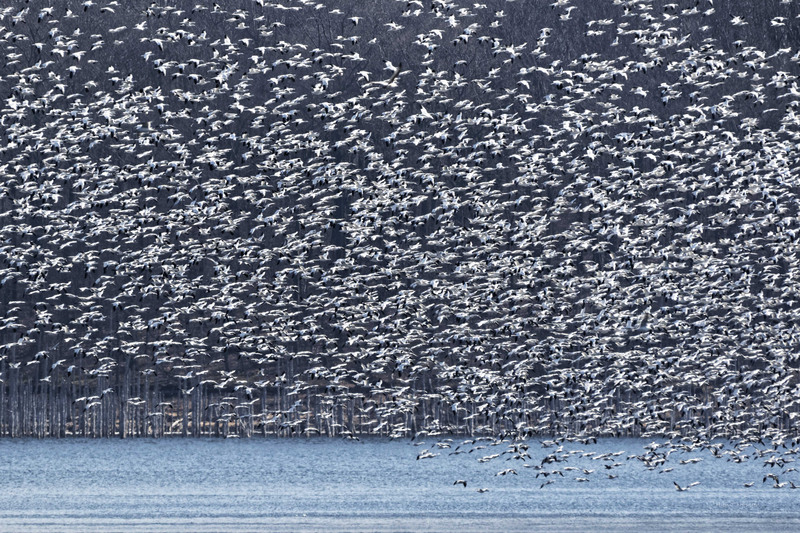 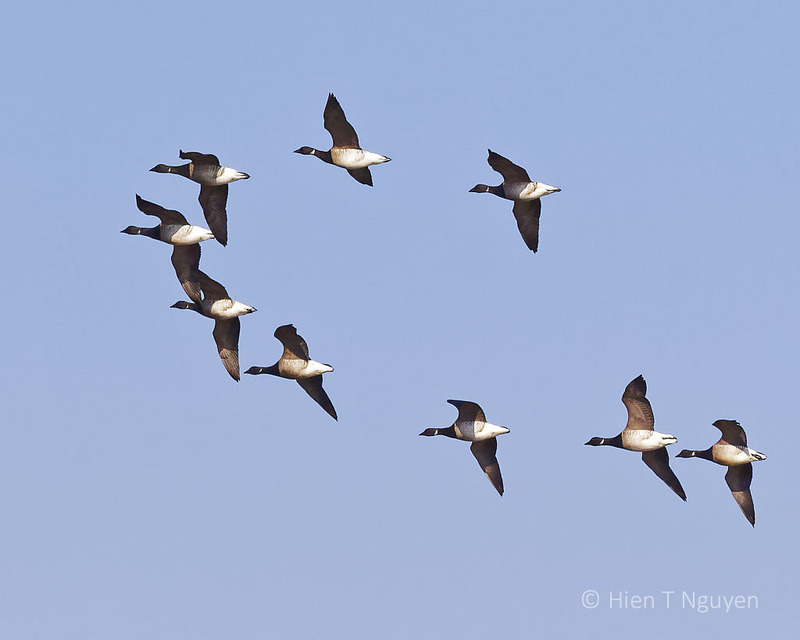 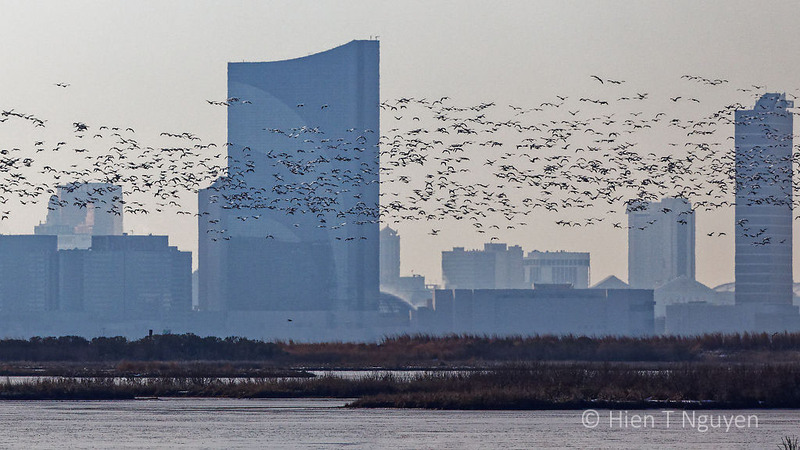 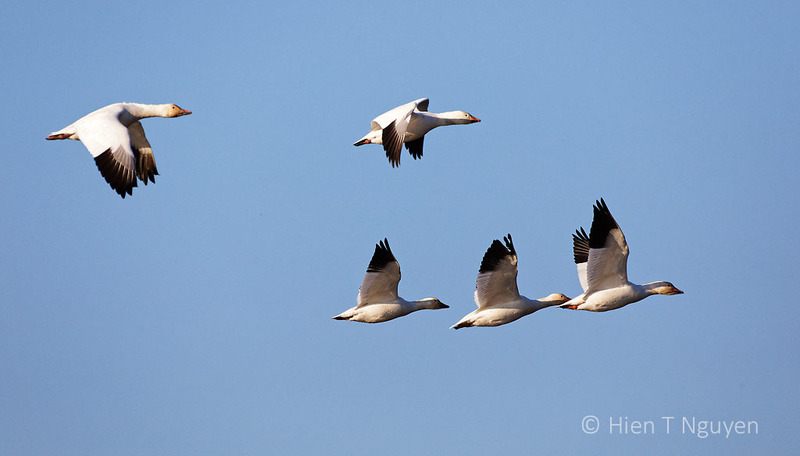 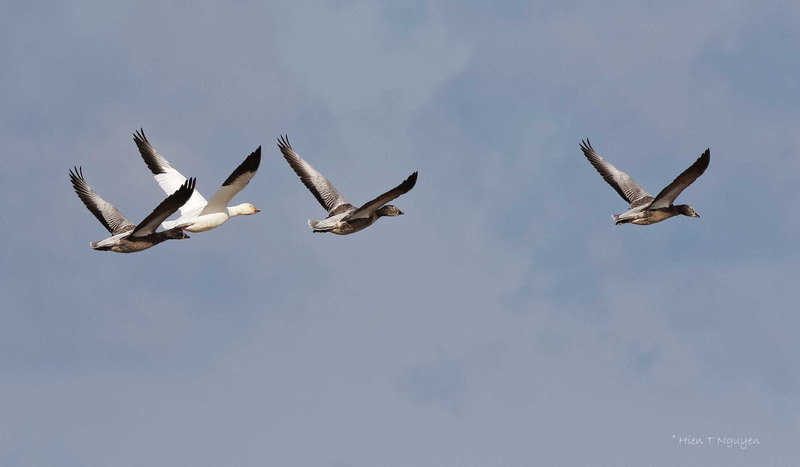 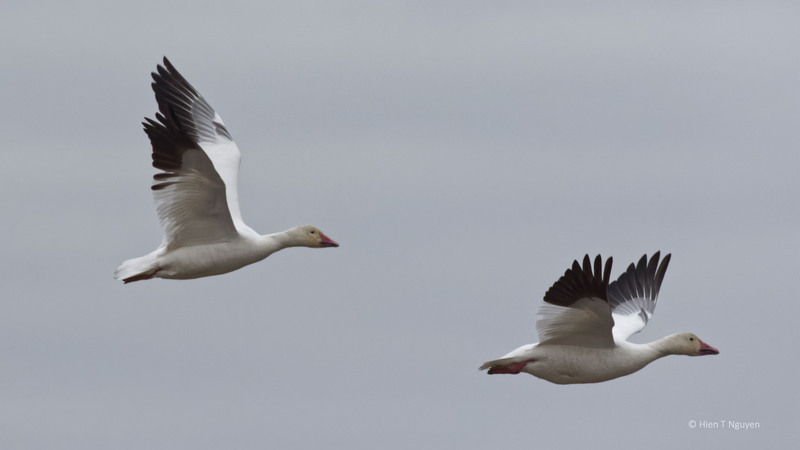 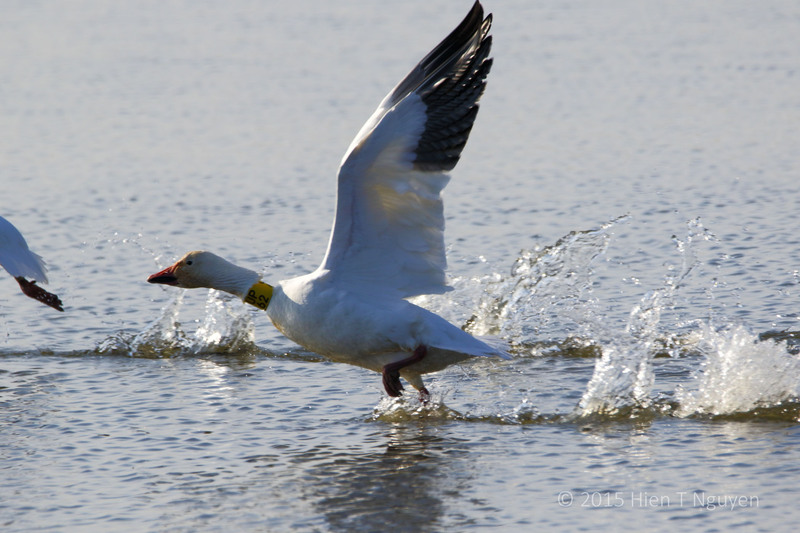 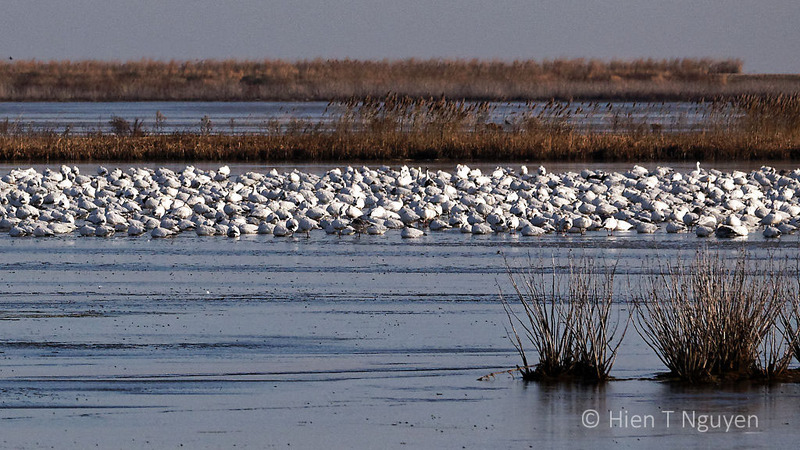 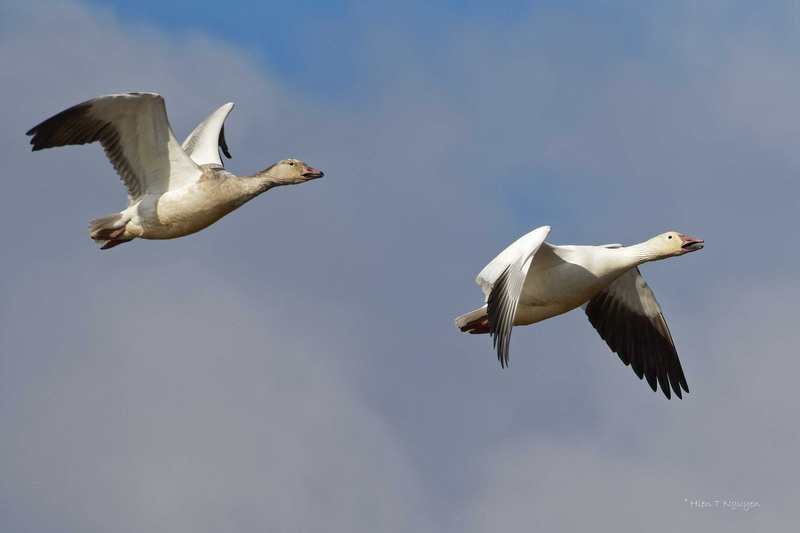 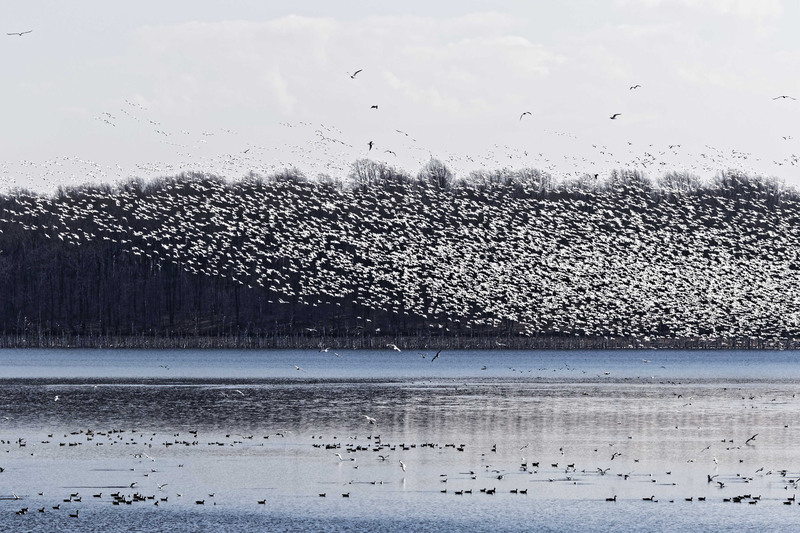 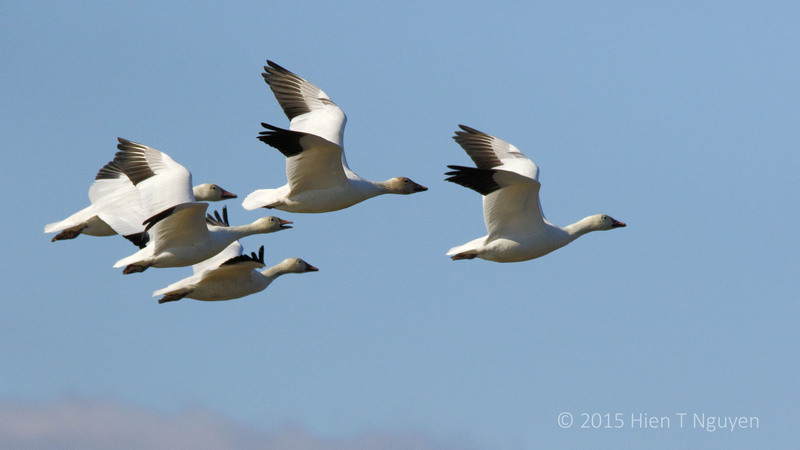 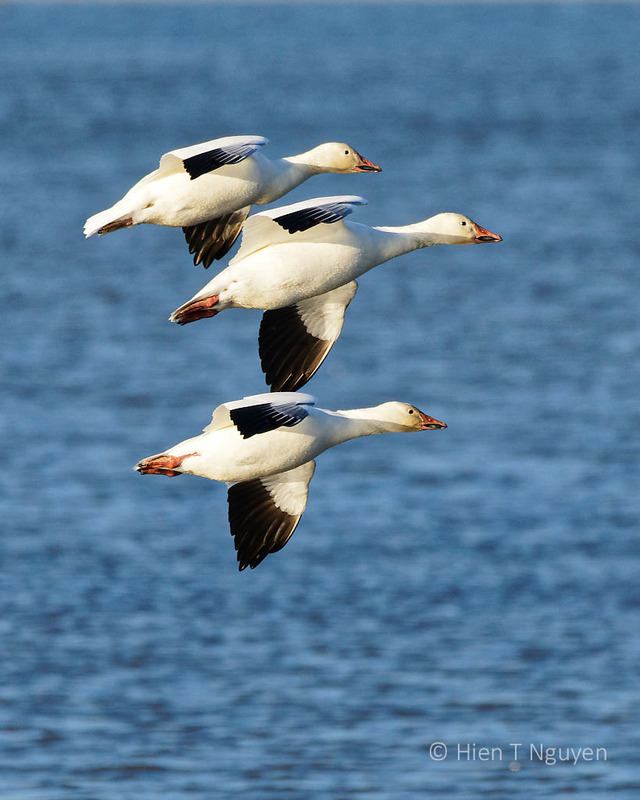 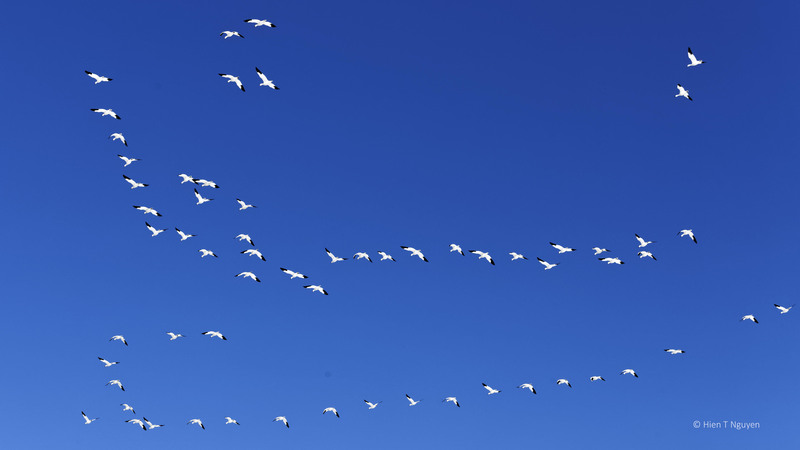 Snow Geese migrate every year between the tundras of Alaska and Canada to as far south as Mexico. 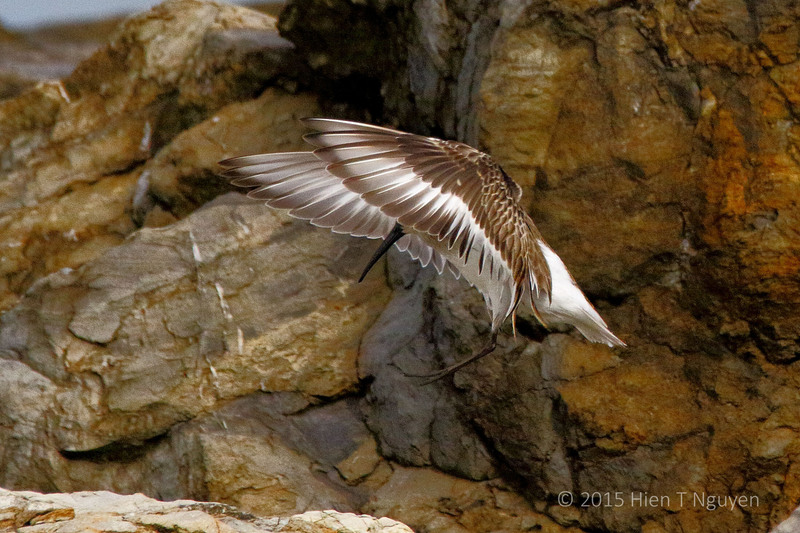 They have become very efficient flyers, taking advantage of high thermal currents to move great distances. 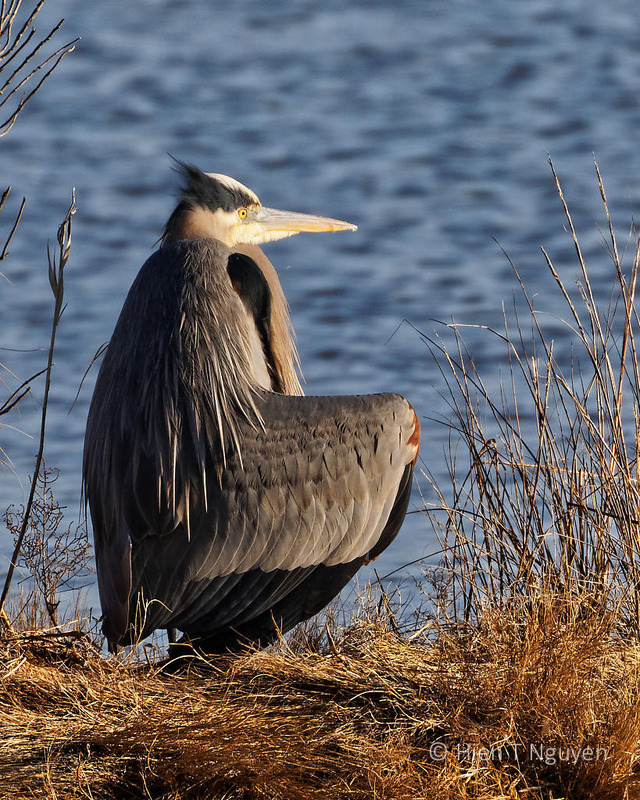 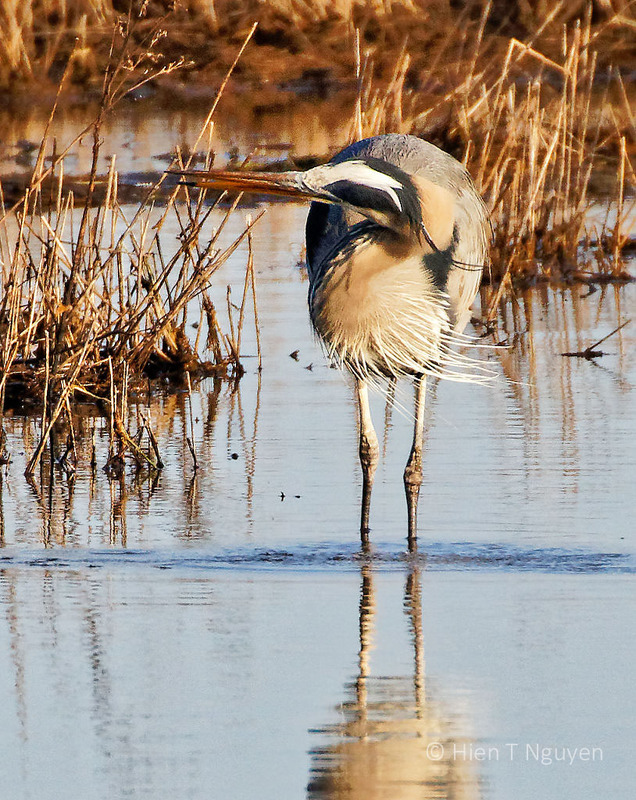 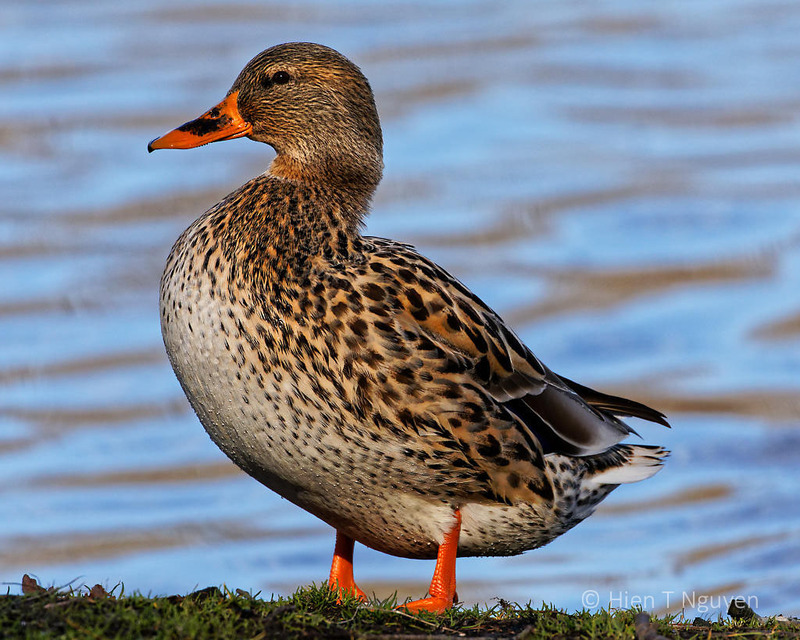 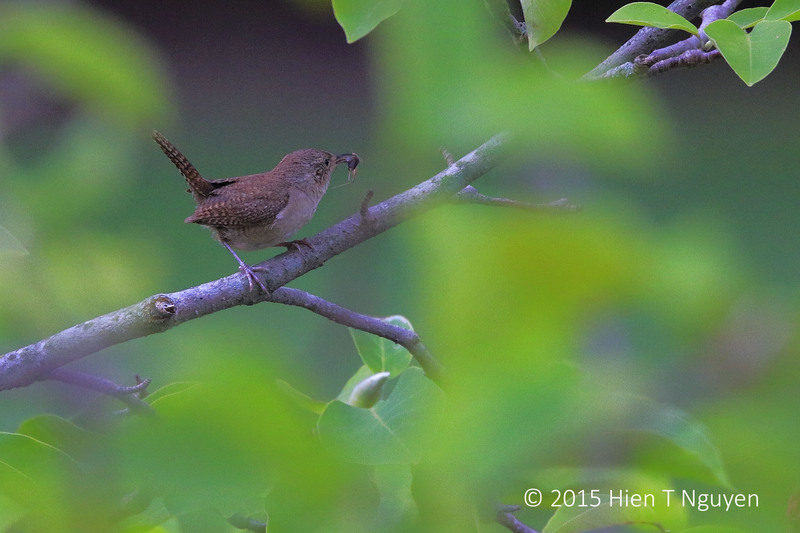 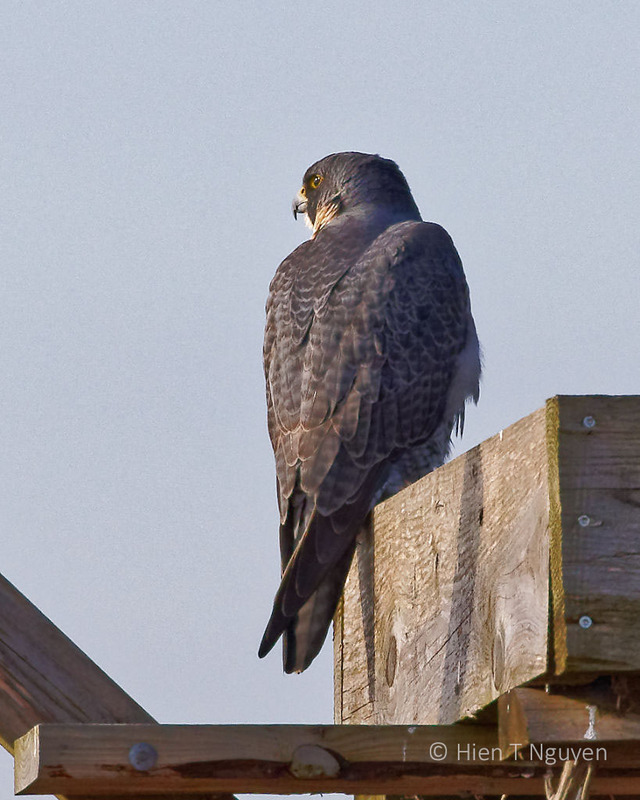 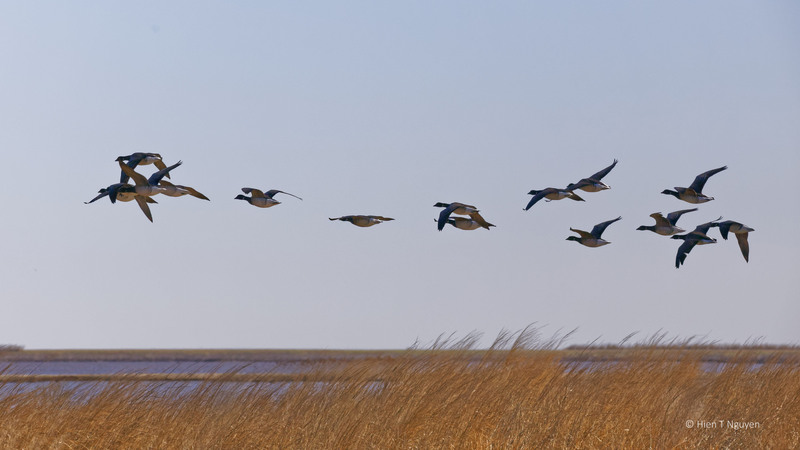 When they are not flying, they are foraging for food and eating their way across fields and swamp lands. 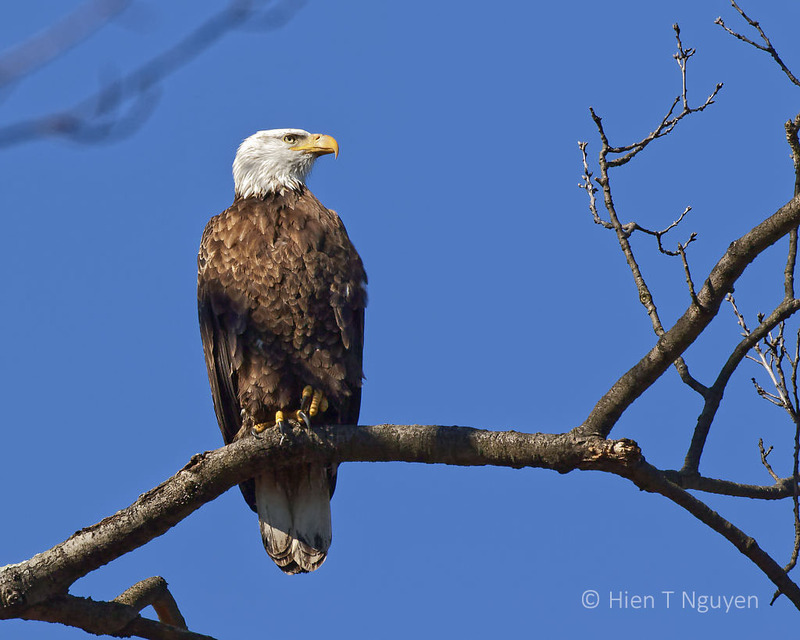 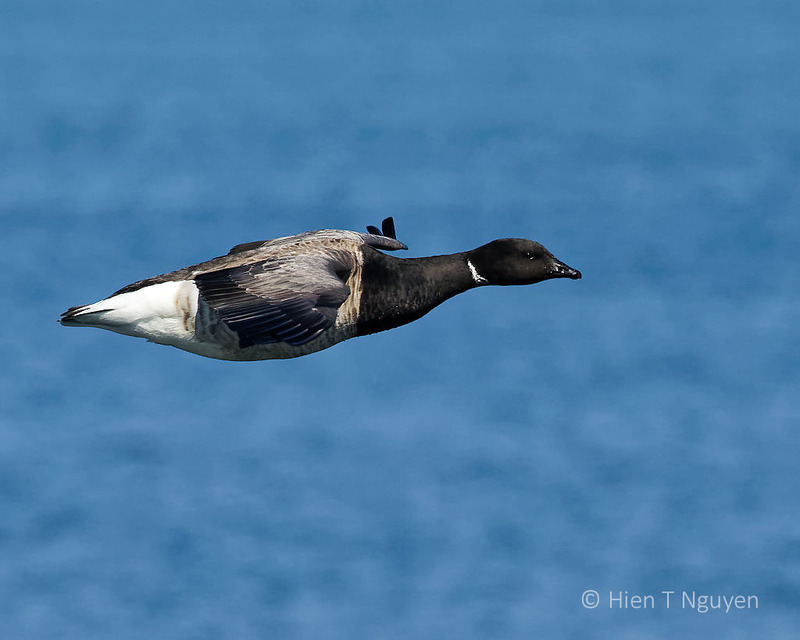 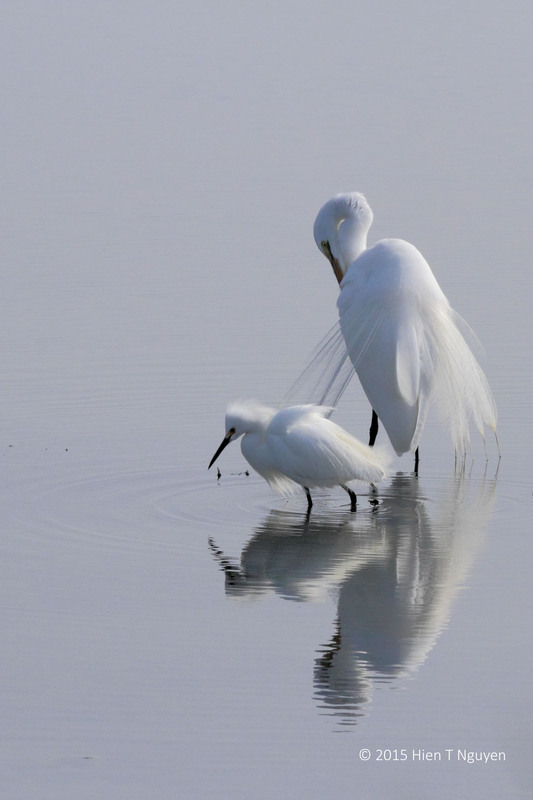 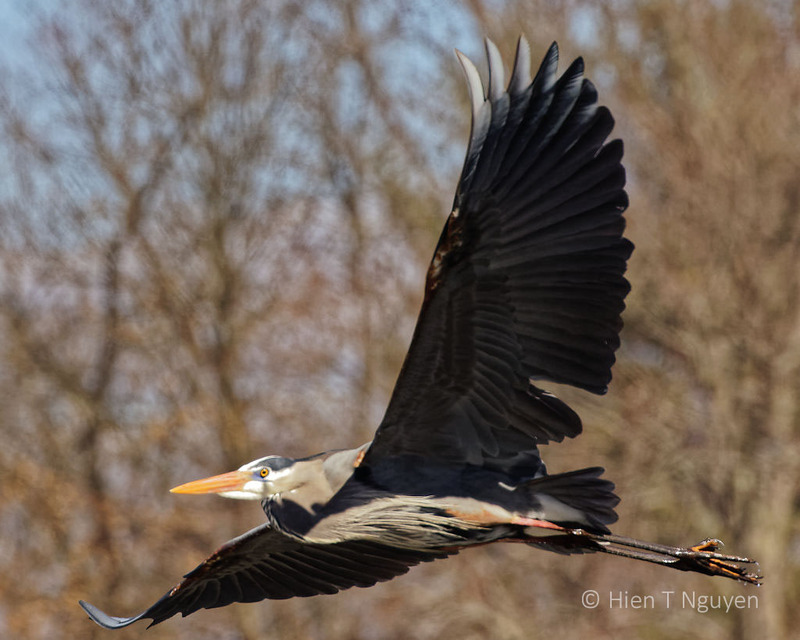 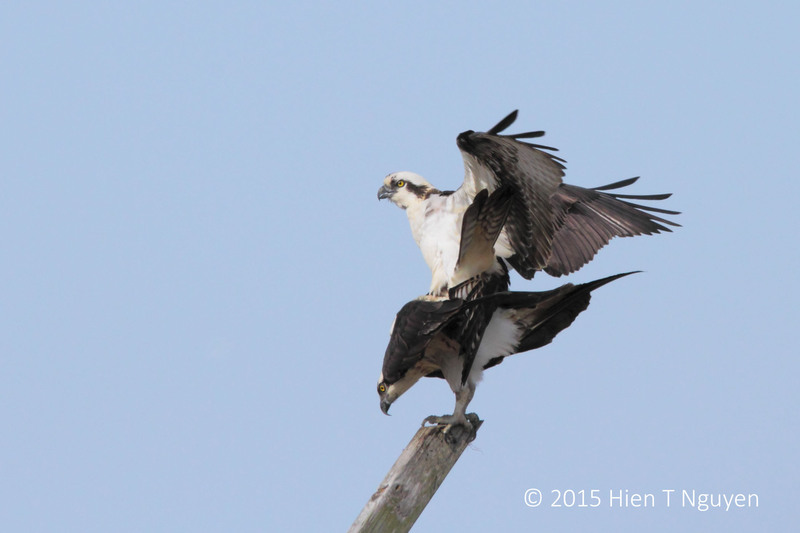 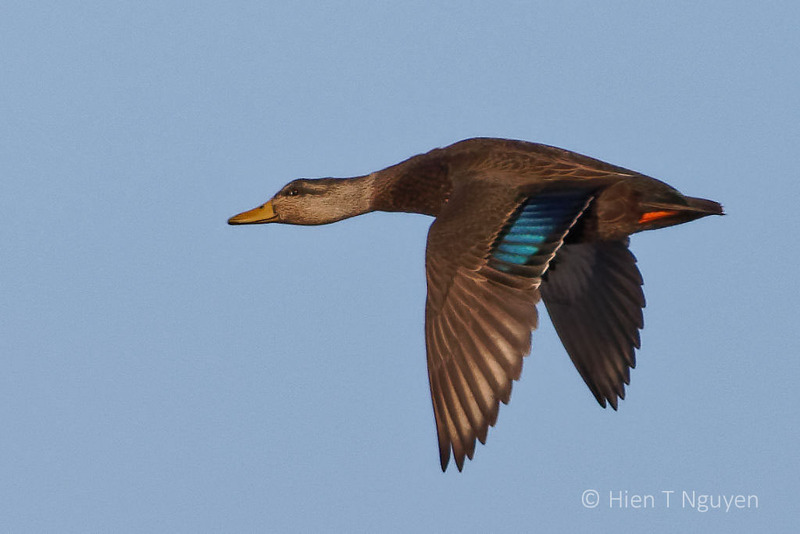 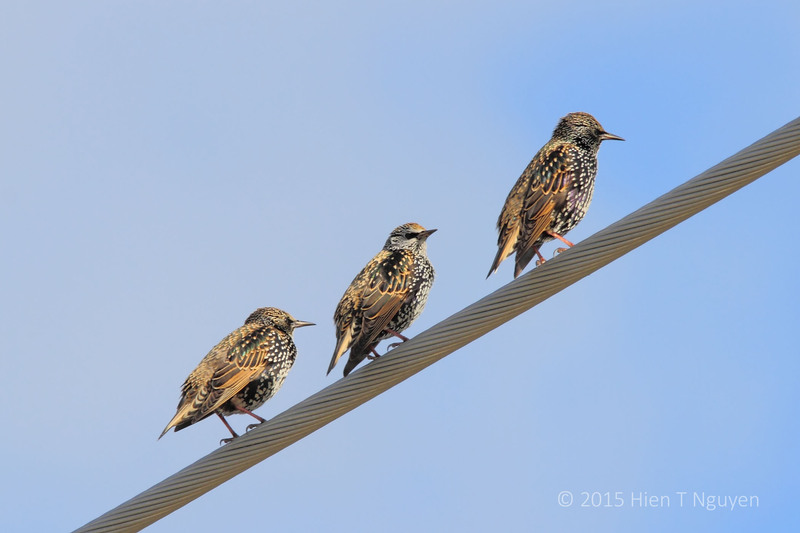 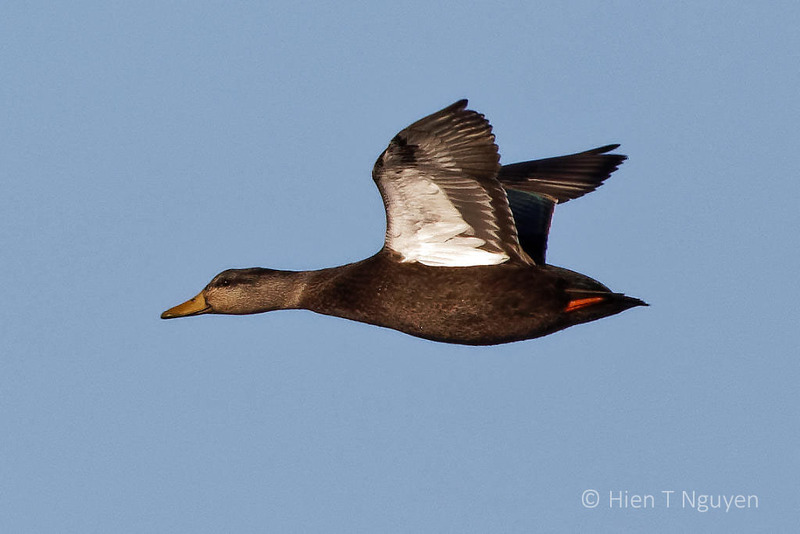 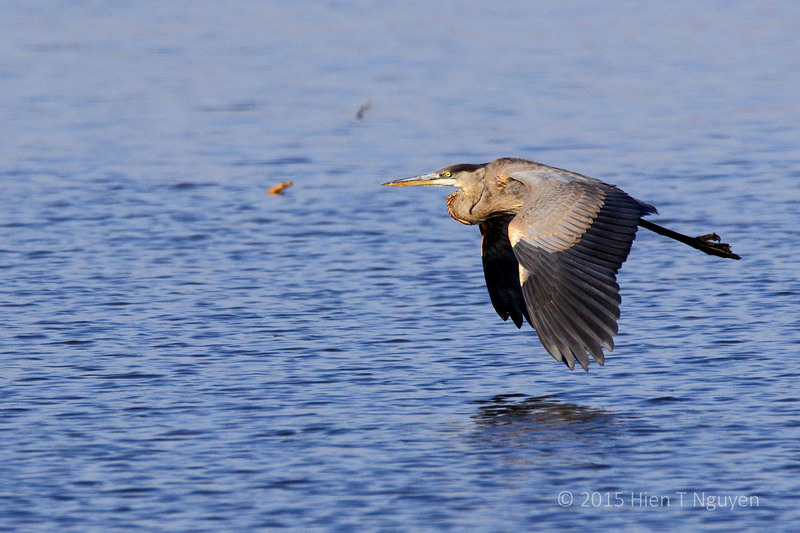 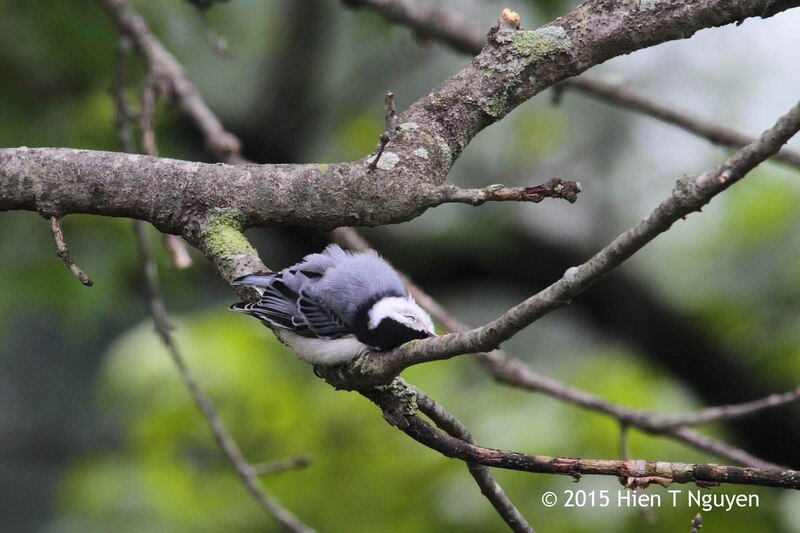 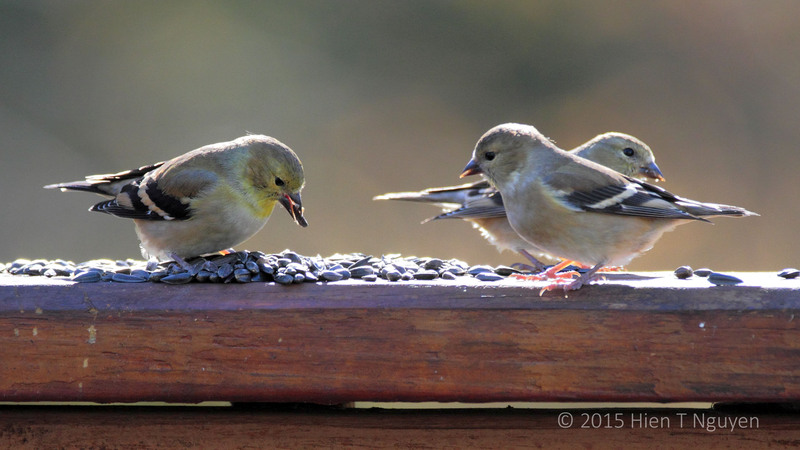 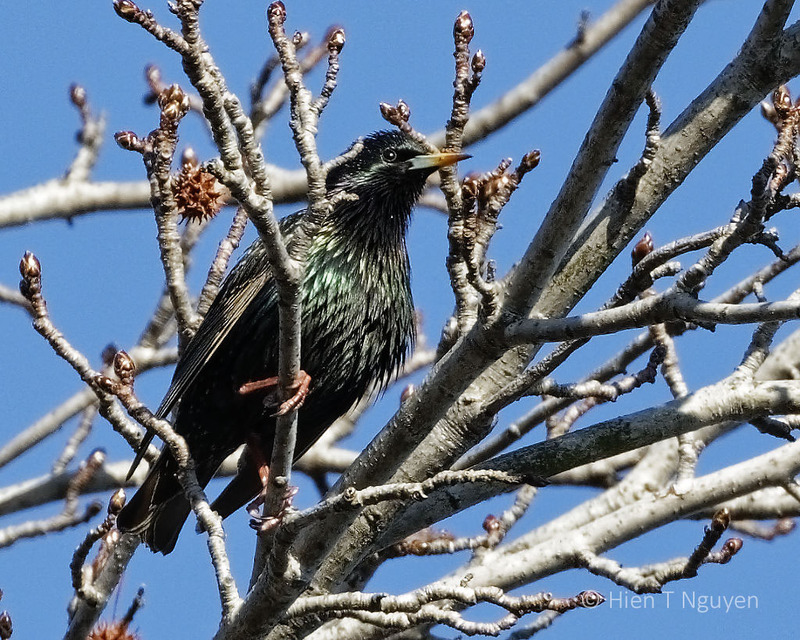 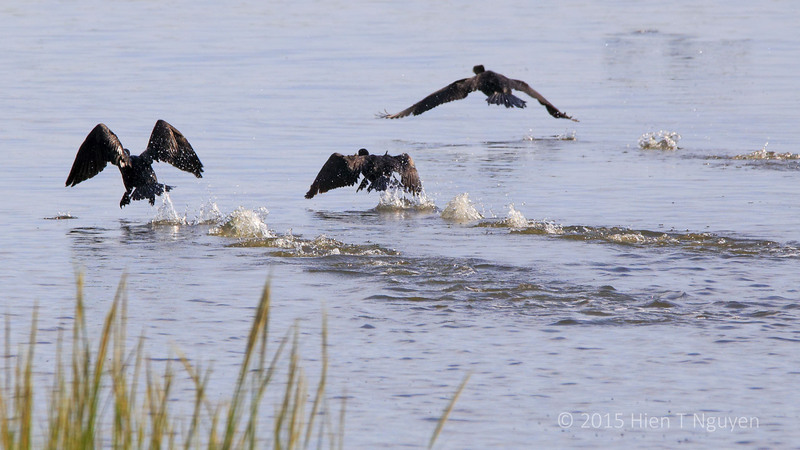 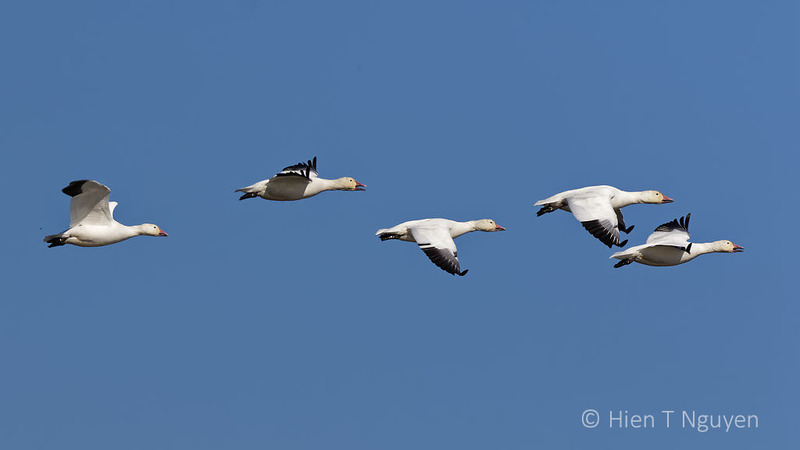 Here are a few shots taken last month of these birds doing what they do best, flying. 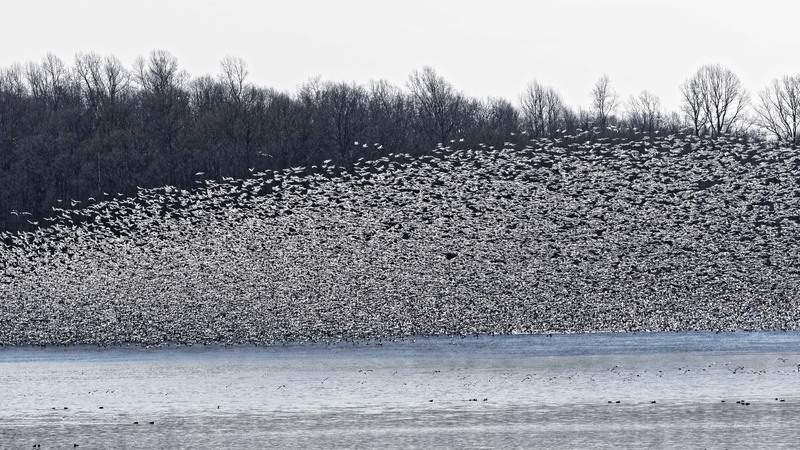 They were among a flock of several thousands at the Edwin B Forsythe National Wildlife Refuge, and all I had to do was point the camera up and click away. 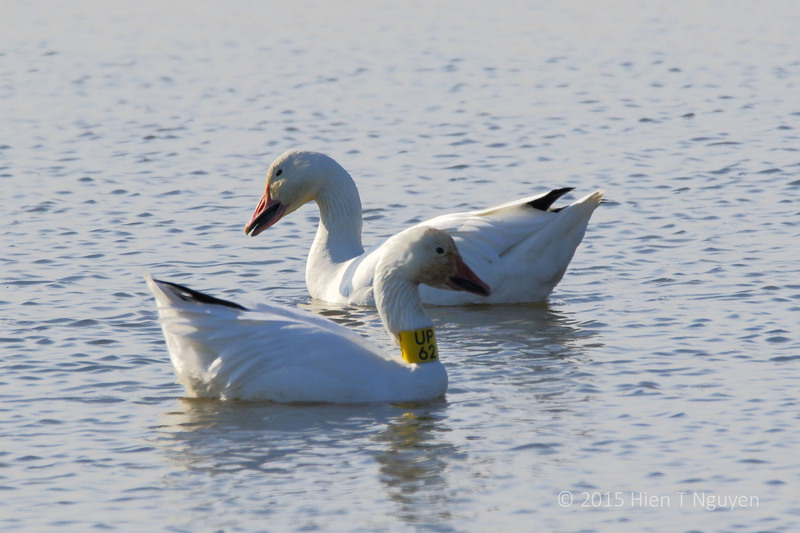 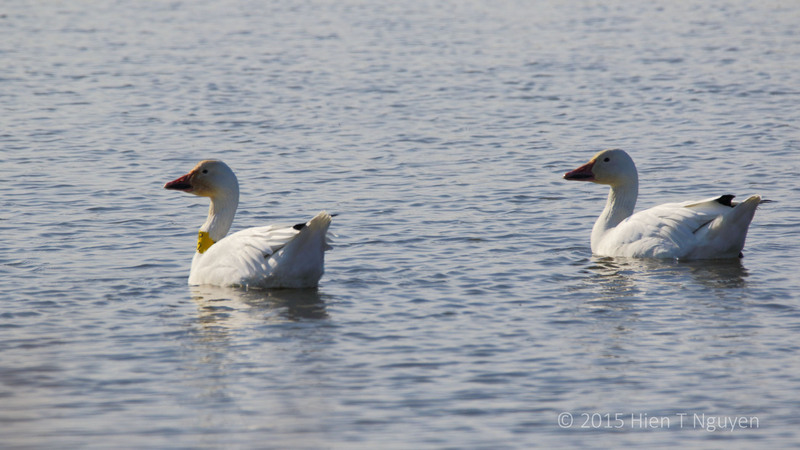 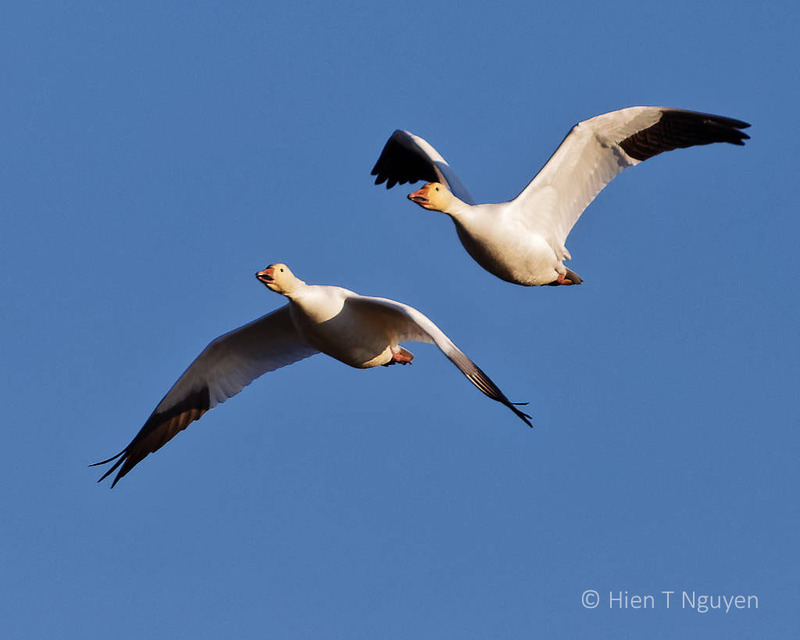 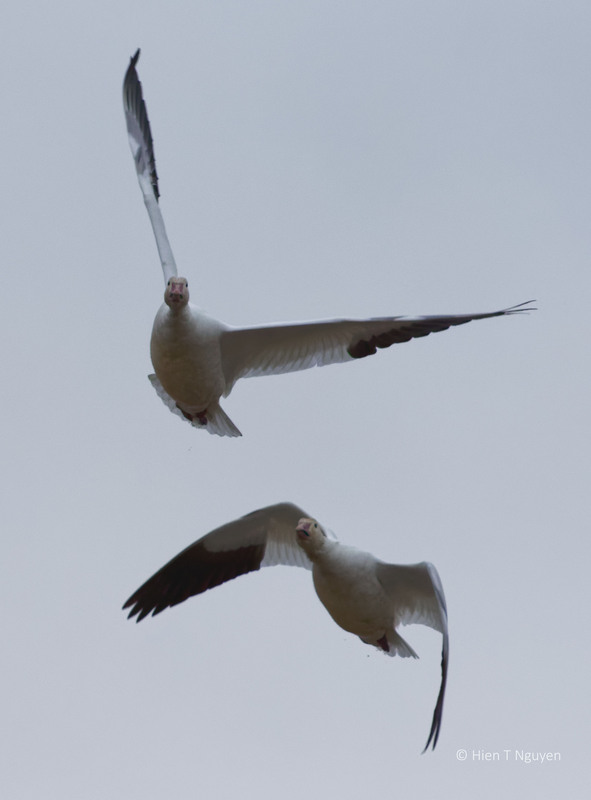 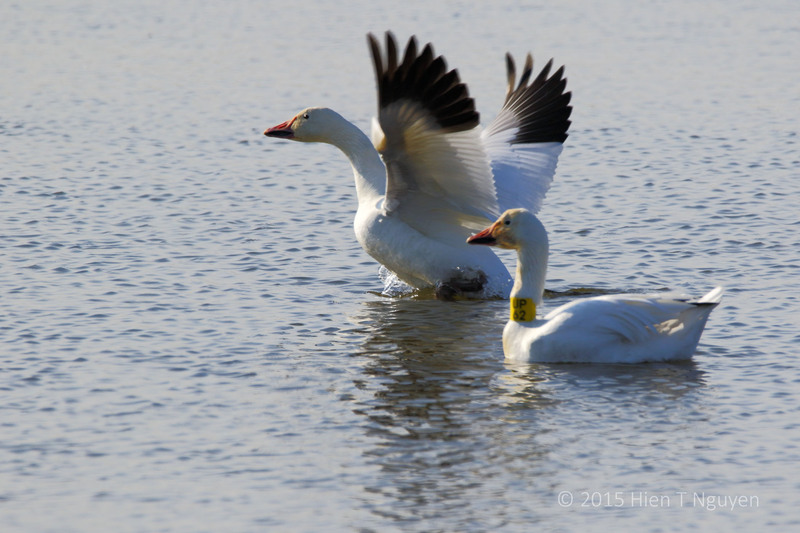 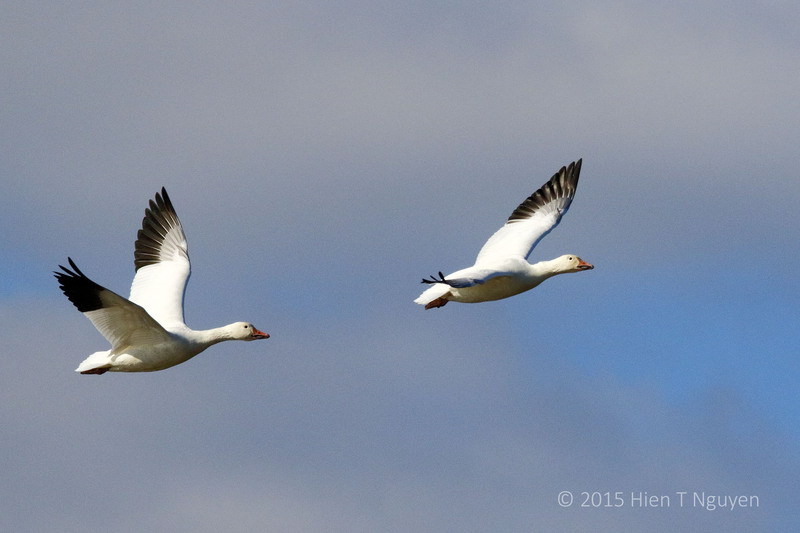 A pair of Snow Geese. 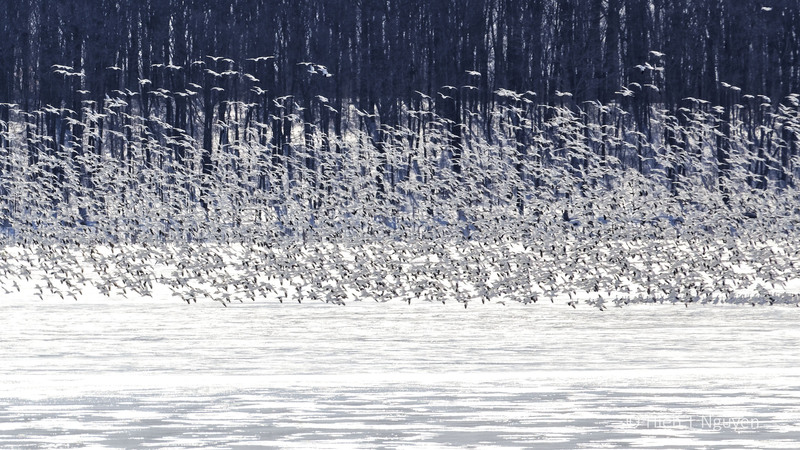 When I saw the following photo, I thought I had dust in my camera. 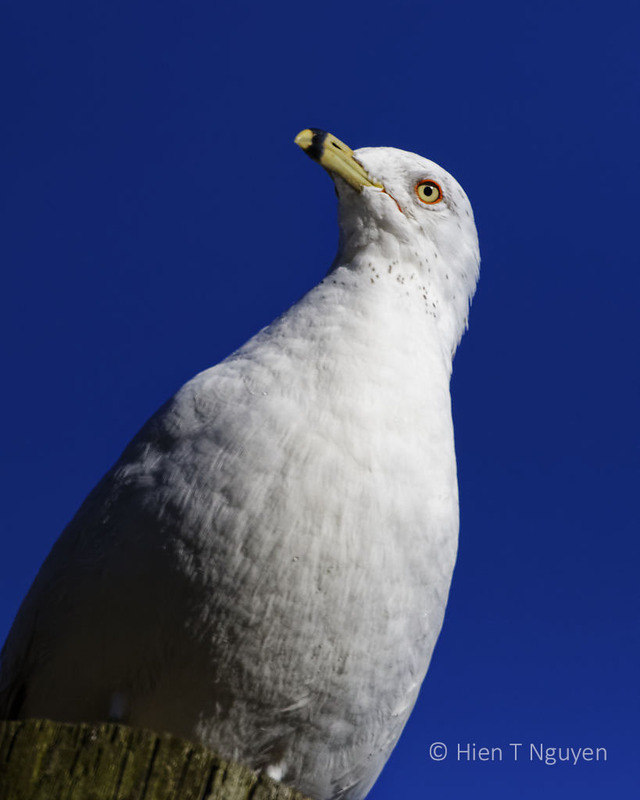 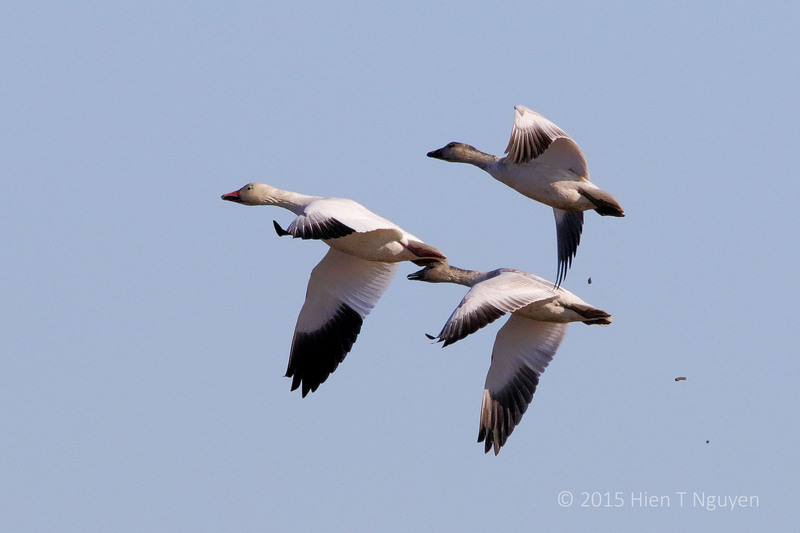 Then I looked closely, and it is clear that a bird in the hand is better than three overhead. 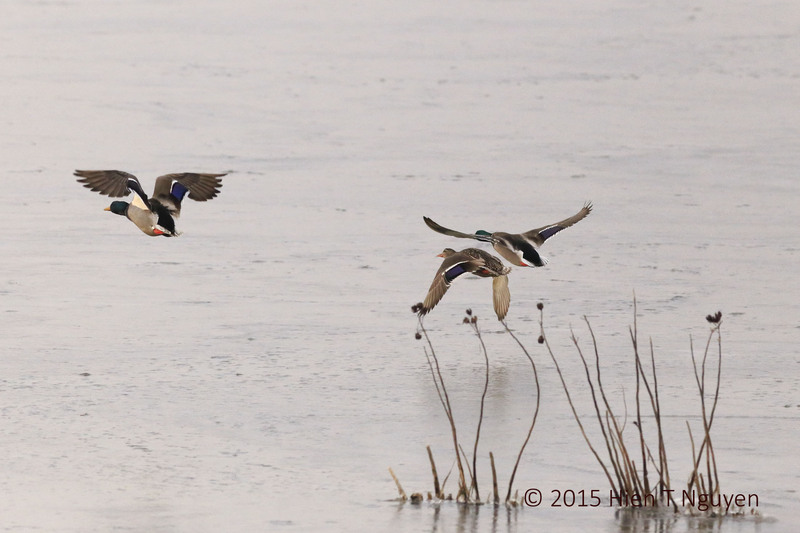 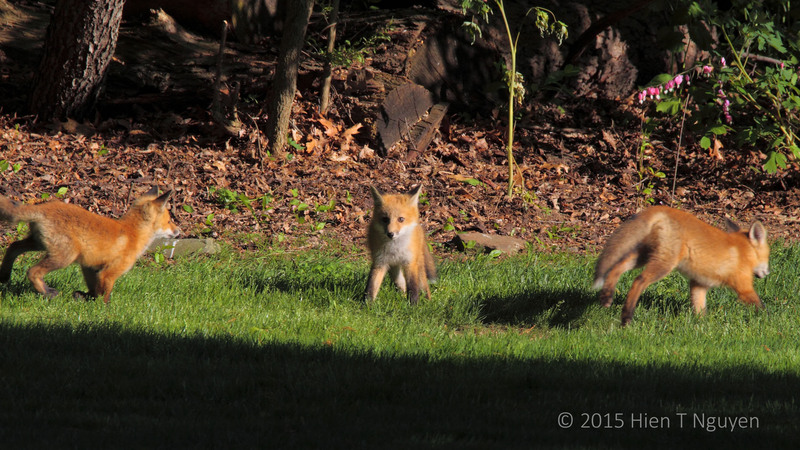 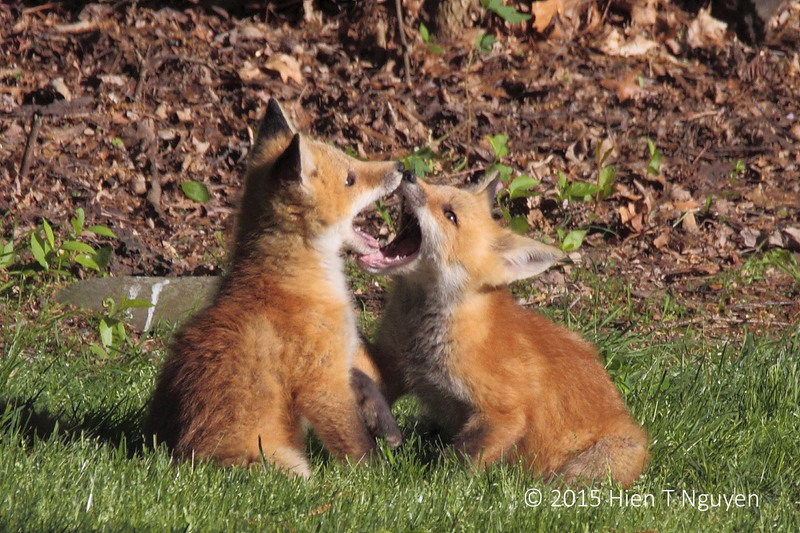 The weather has not been cooperating so I will be posting photos taken in 2015 that have not yet been displayed here. 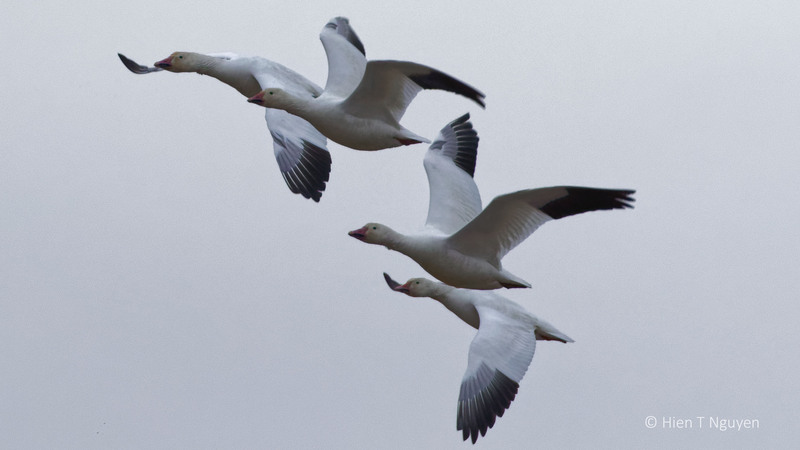 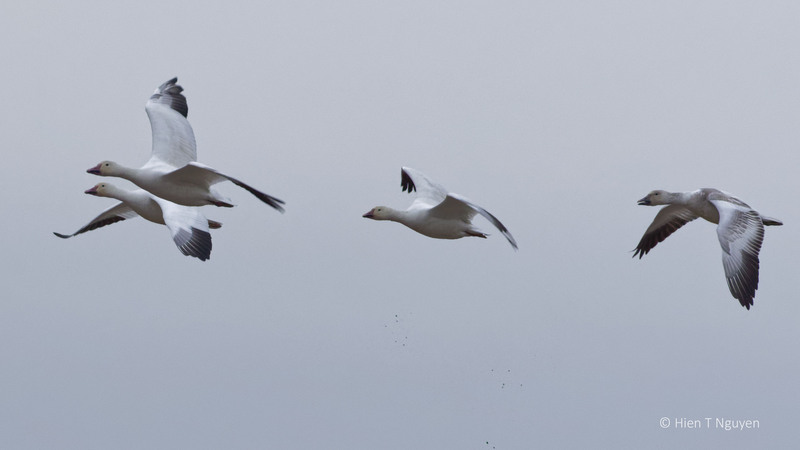 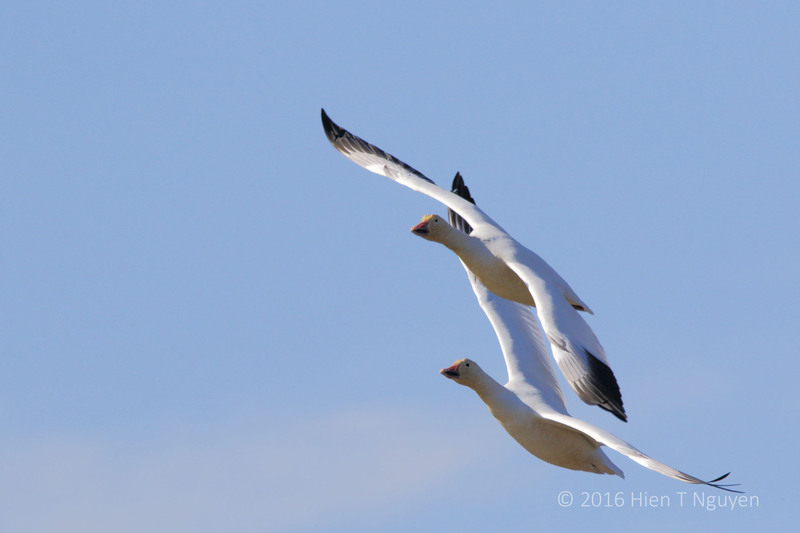 Like two lumbering jumbo jets landing at an airport, these two Snow Geese dropped out of the sky on top of their brothers and sisters. 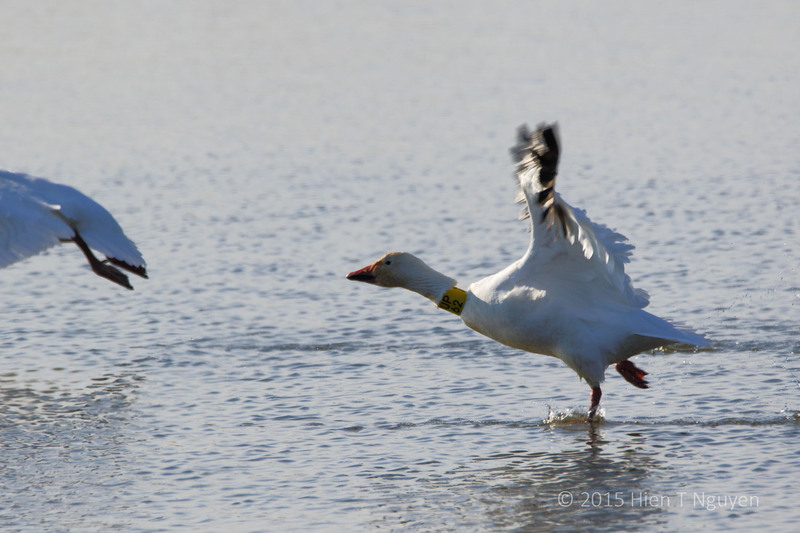 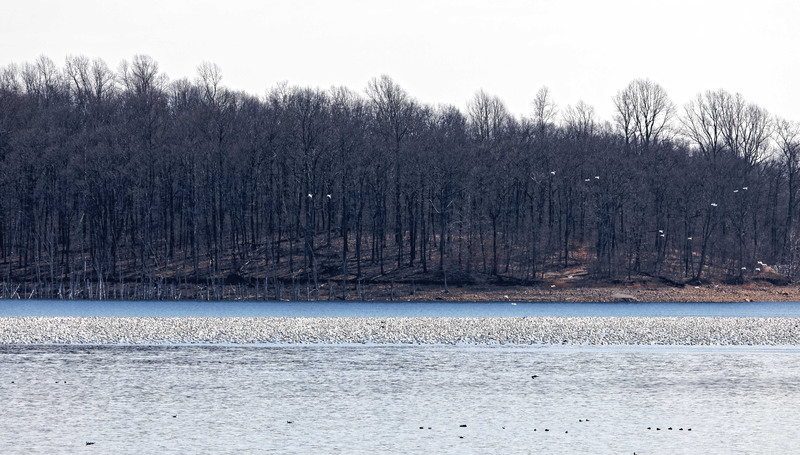 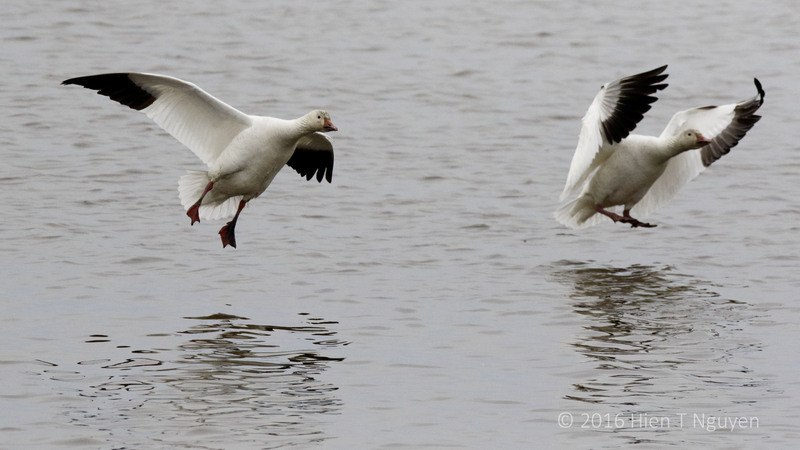 Two Snow Geese landing after a flight. 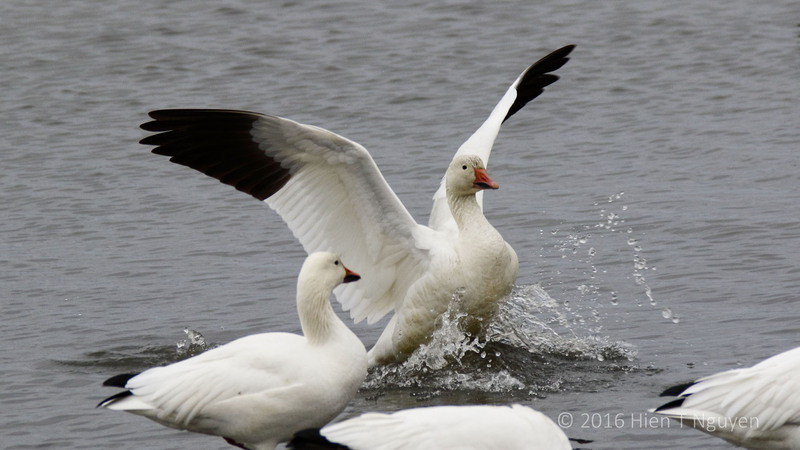 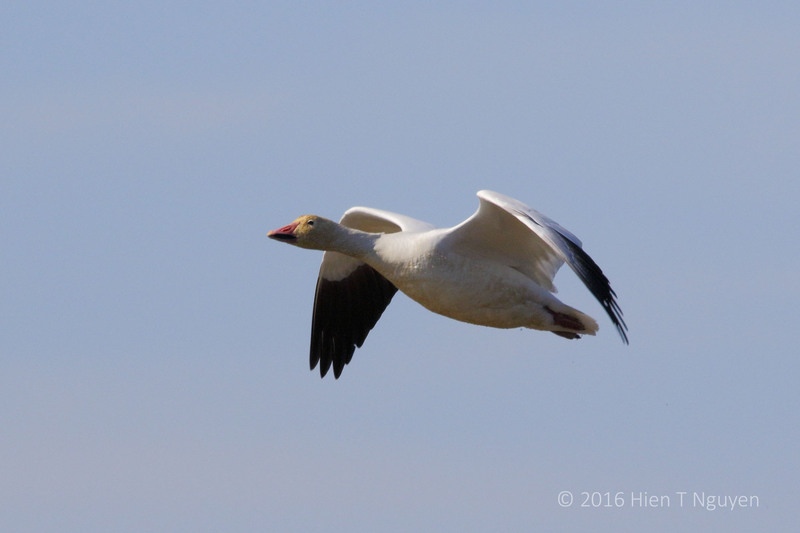 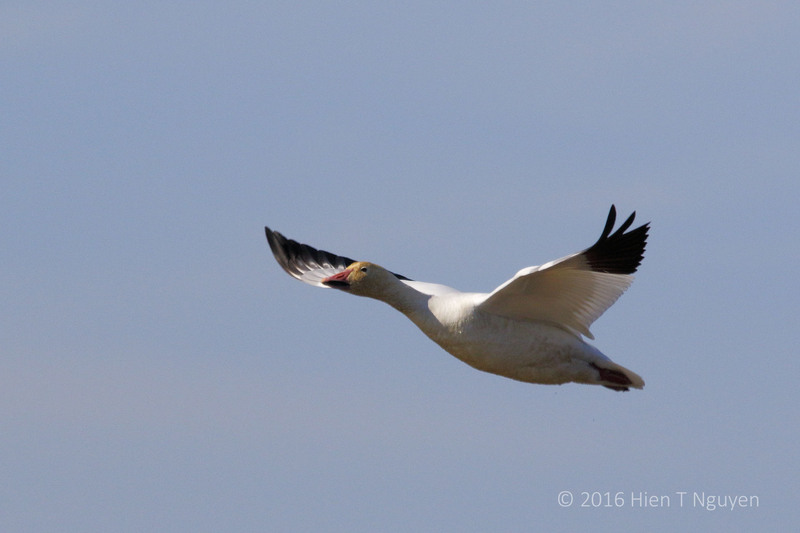 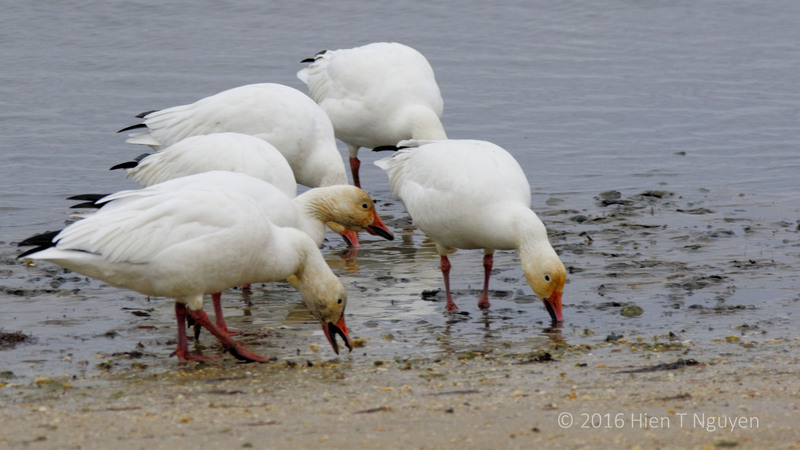 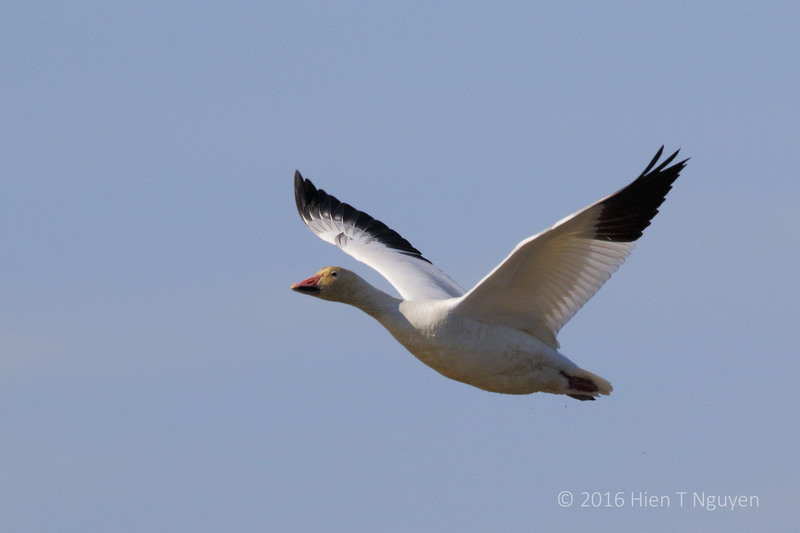 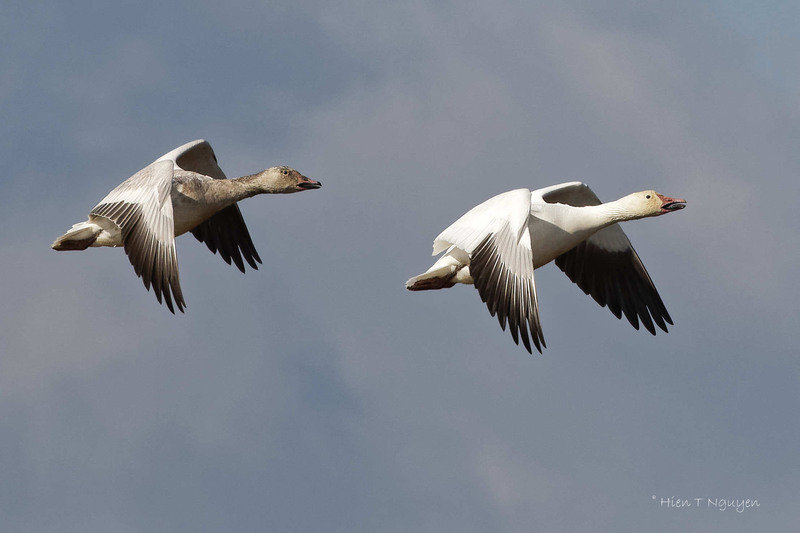 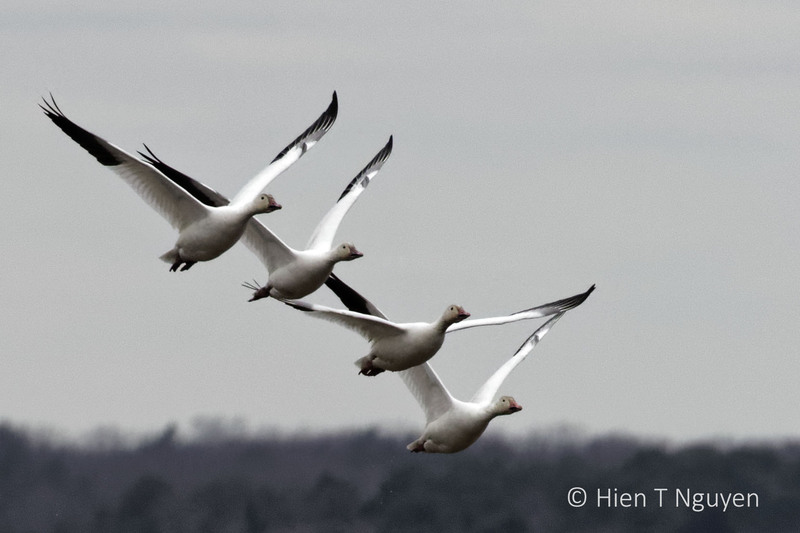 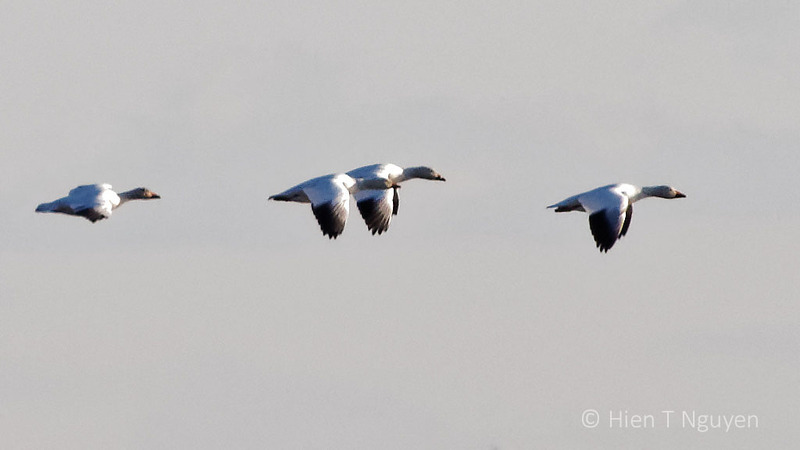 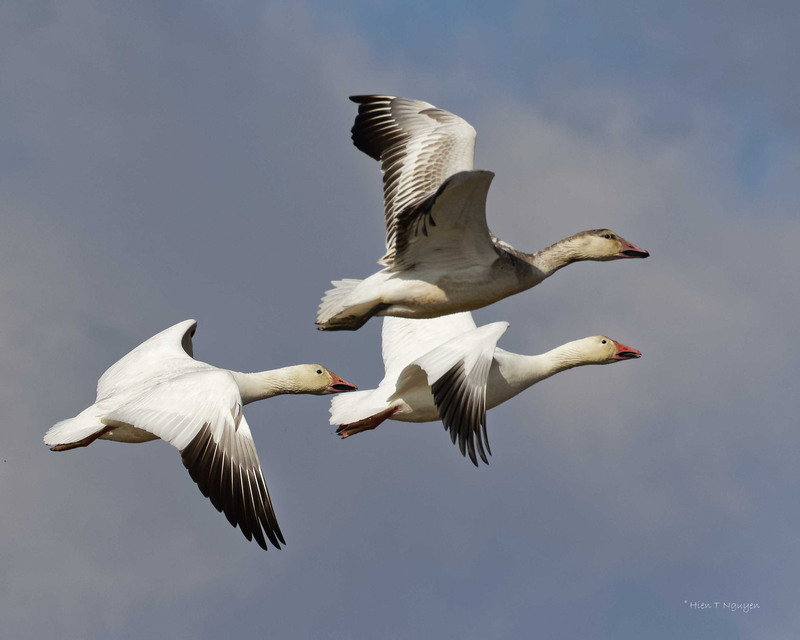 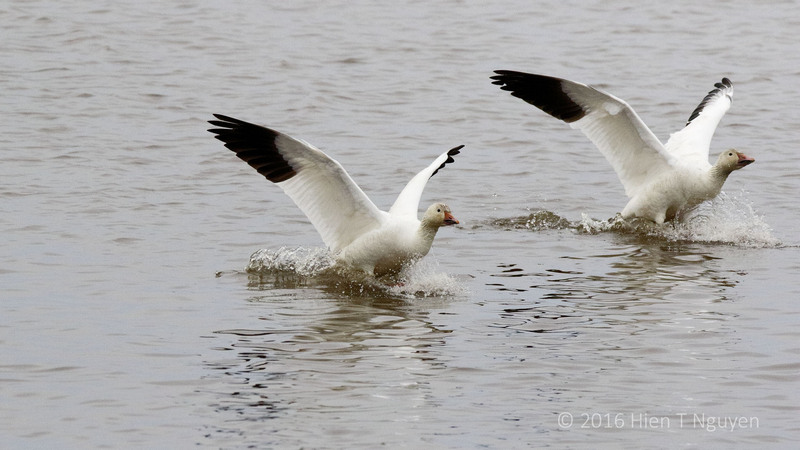 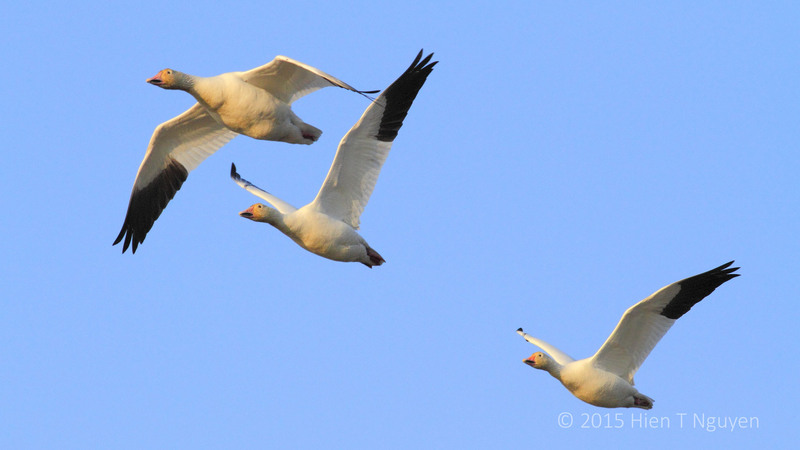 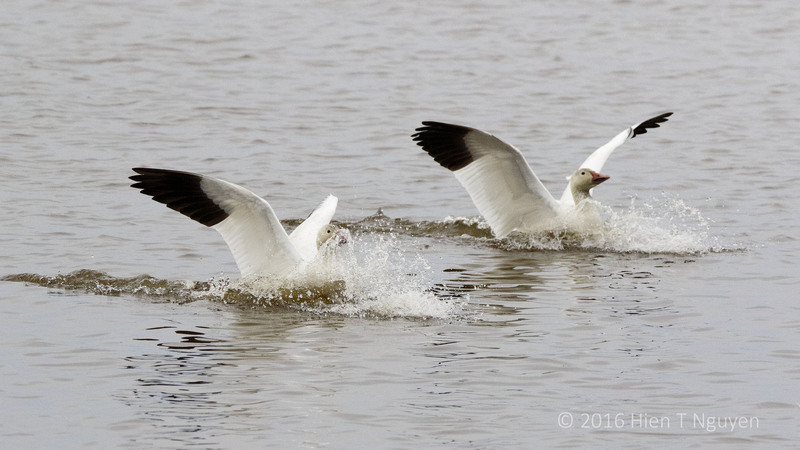 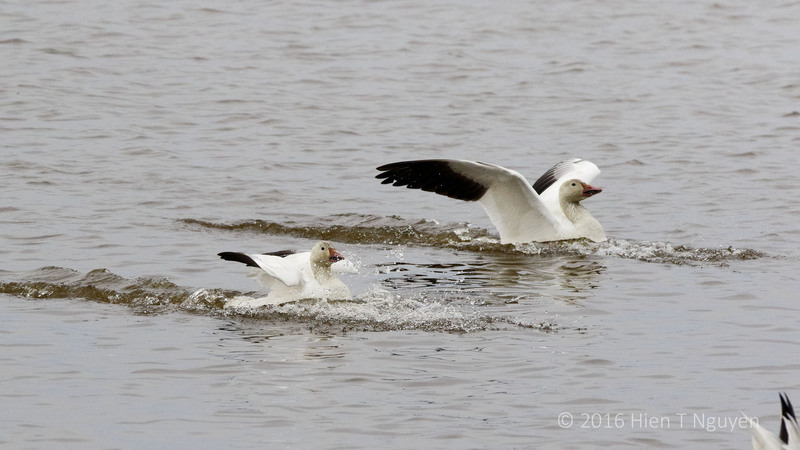 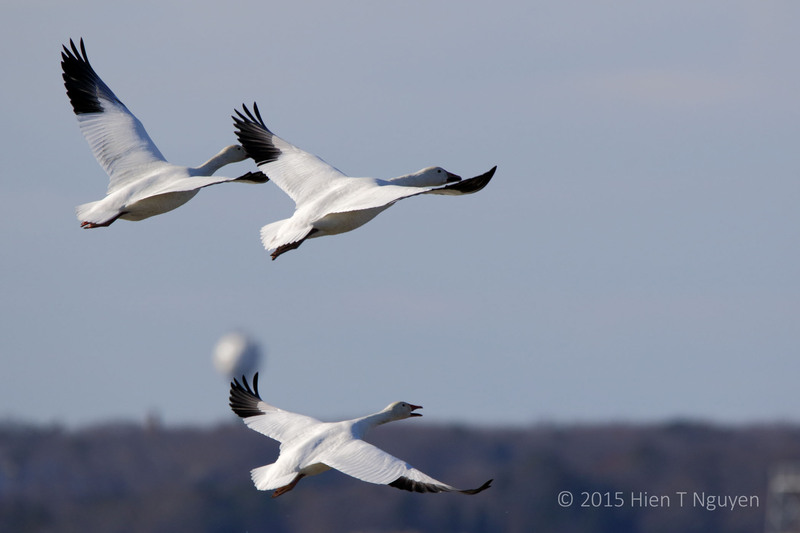 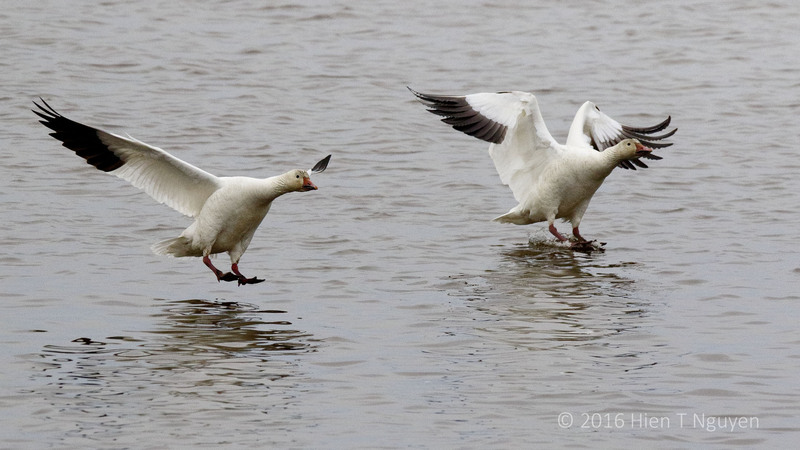 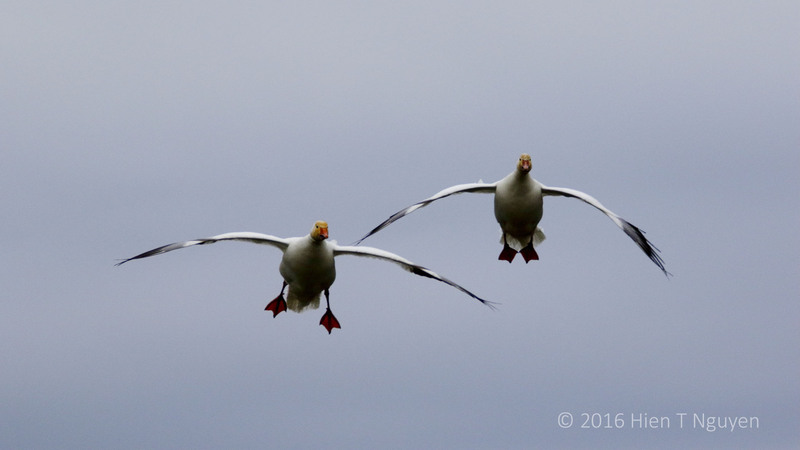 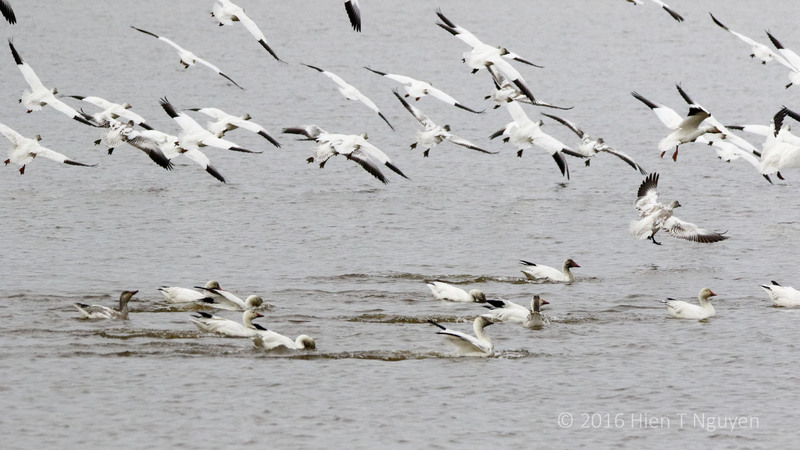 For this challenge, here are three photos of snow geese that I took in March as they flew to their summer grounds in Canada and Alaska. 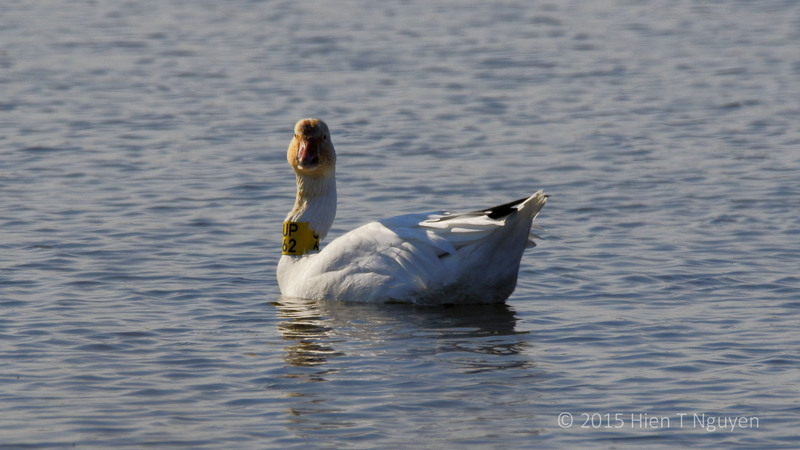 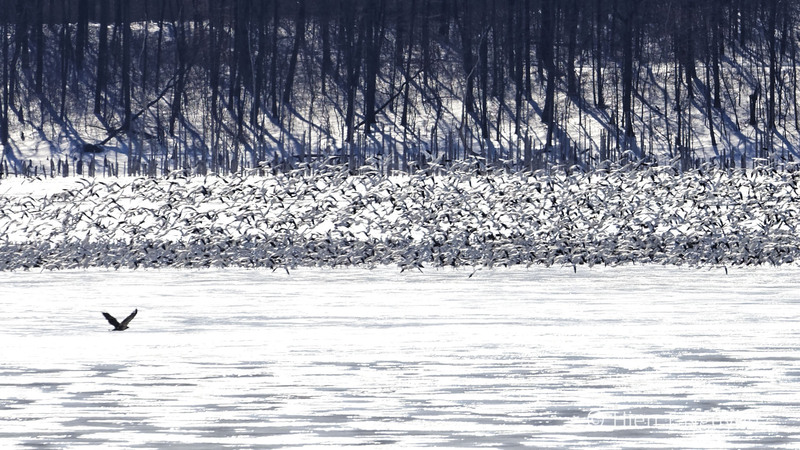 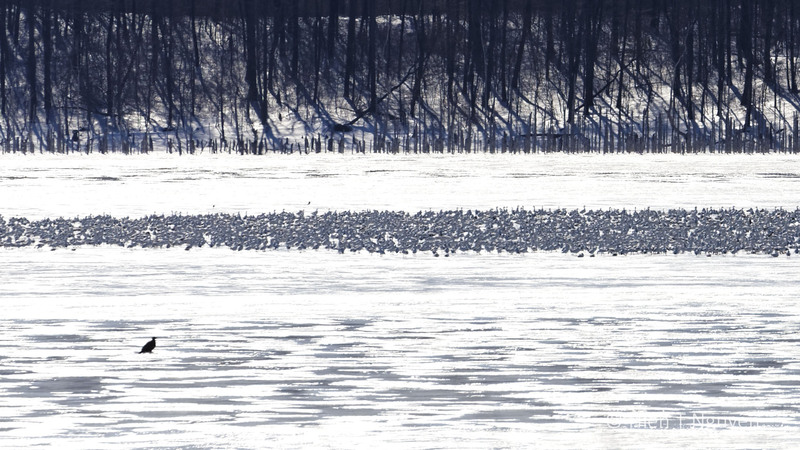 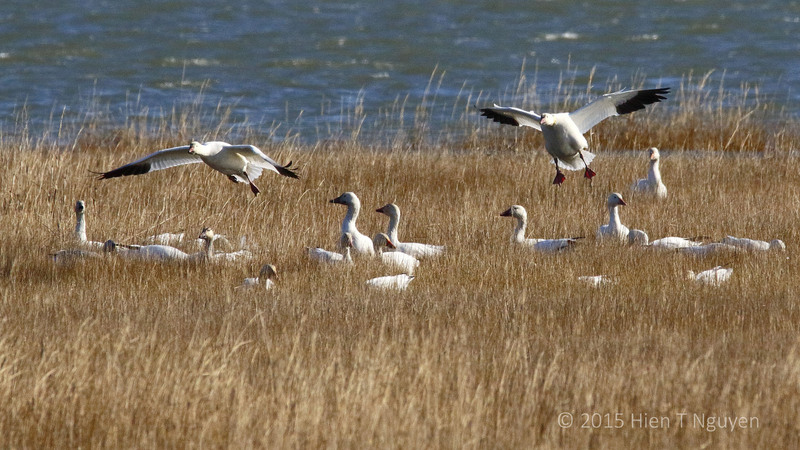 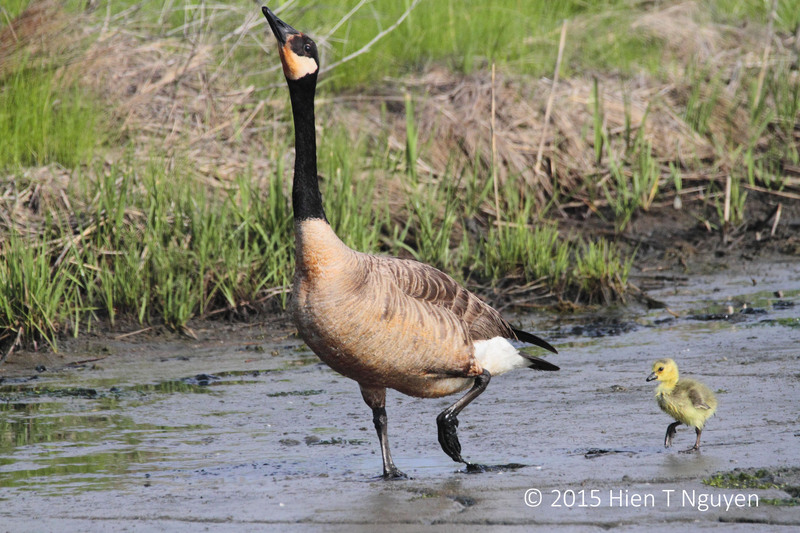 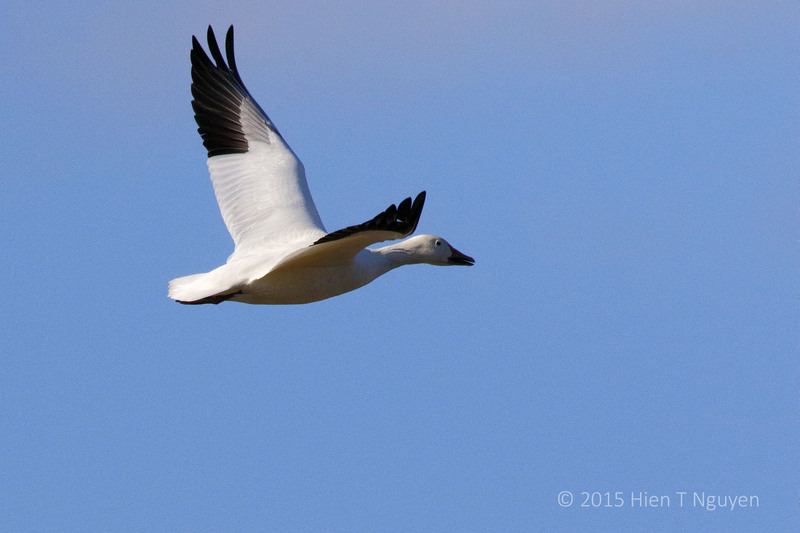 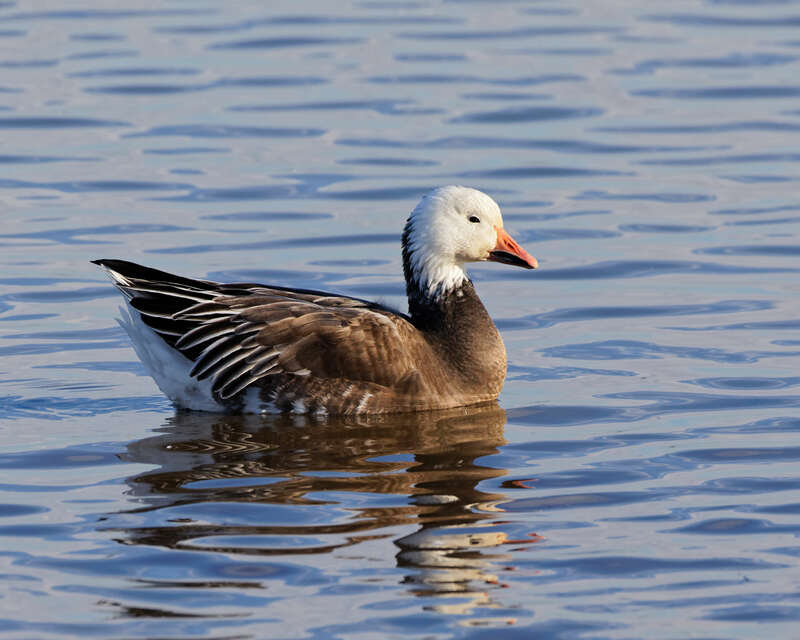 Among other things, snow geese are distinguishable by their black lips, a dark line around their bills.